A drilling rig on the outskirts of Douglas, Wyoming. 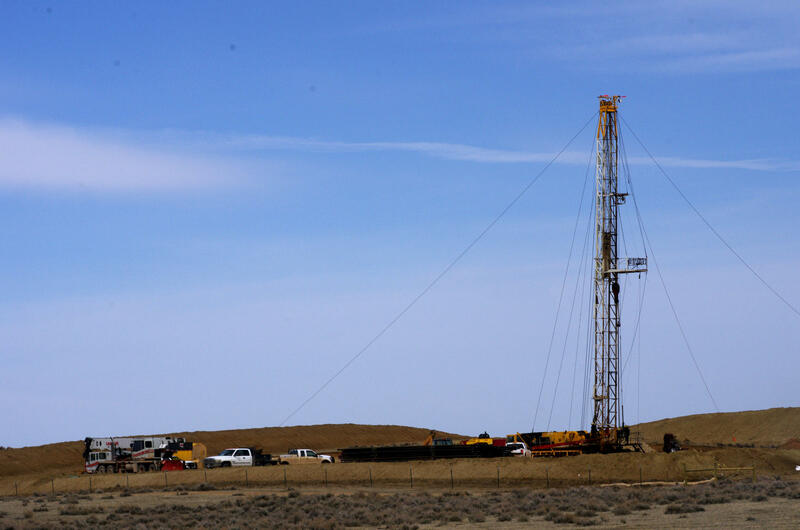 A coalition of environmental and landowner groups have reached a settlement with the State of Wyoming and Halliburton in a lawsuit over fracking chemical disclosure. Wyoming was the first state in the nation to require public disclosure of the chemicals used in hydraulic fracturing or fracking, but the state has also granted more than a hundred exemptions to that rule to companies concerned that disclosure would reveal trade secrets. Environmental groups sued over those exemptions, arguing before the Wyoming Supreme Court that the state was simply rubber-stamping companies' requests. The Court didn't overturn the exemptions, but ordered the state to come up with revised procedures for evaluating whether a particular chemical should be classified as a trade secret. The settlement lays out those criteria, which include a requirement for companies to detail why the information is commercially value. Shannon Anderson, with the Powder River Basin Resource Council, one of the groups that brought the suit, says she hopes it will force companies to reevaluate whether an exemption is truly necessary. “We are hoping that it will result in fewer trade secret applications and hopefully fewer exemptions as well,” she said. Oil and Gas Conservation Commission deputy supervisor Tom Kropatsch says the new guidelines will help his agency make better decisions. “We believe that the settlement improves the rule that we’ve got and kind of balances the public records and the public knowledge of the information but still meets the business needs of the companies,” he said. Companies that have received trade secret exemptions in the past will have 90 days to re-apply for them using the updated criteria. 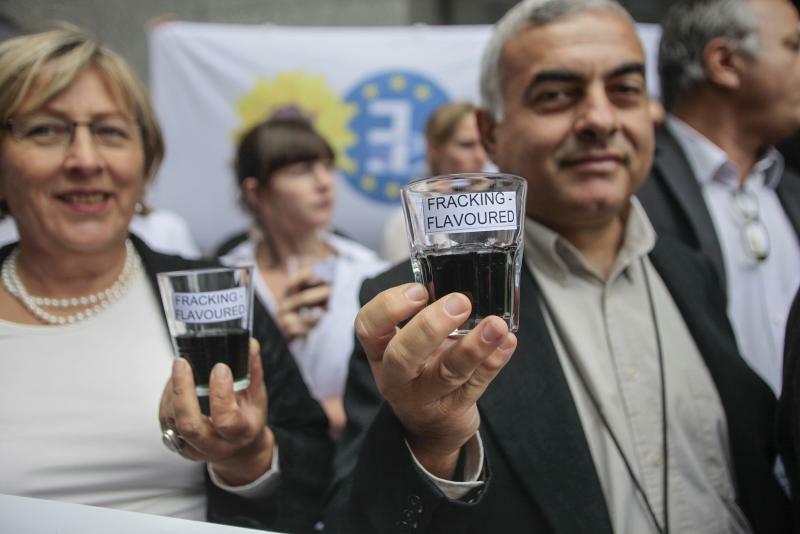 They also have the option to follow the lead of oil and gas servicing giants Schlumberger and Baker Hughes, and disclose the chemicals used to frack a well as a list, without identifying the products that contain them. If you live right next to a drilling rig, or your kids go to school beside a fracking site, or your county is suddenly littered with well pads -- are there health risks? 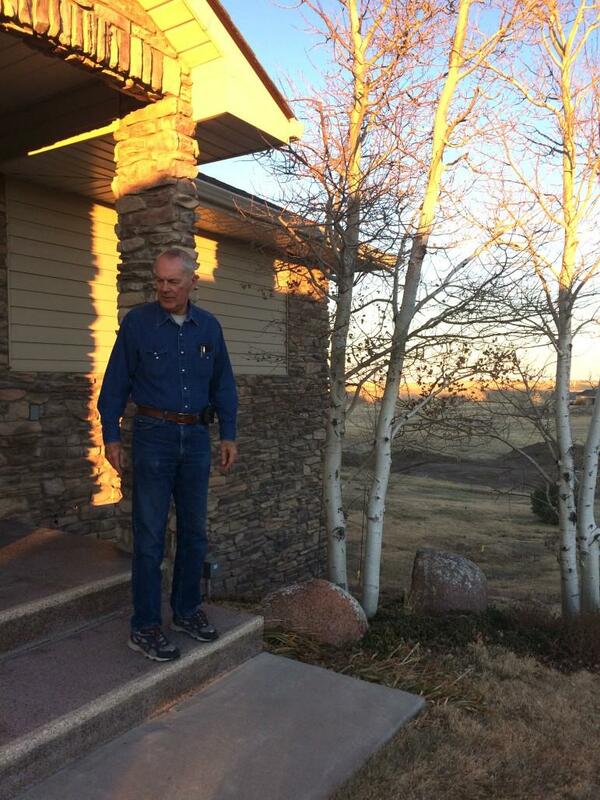 That’s a question that’s been asked from Pennsylvania to North Dakota, from Colorado to Texas as more and more people find themselves and their towns in the midst of an unprecedented energy boom. INSIDE ENERGY: Why Is It So Hard To Study The Public Health Effects Of Oil And Gas Development? 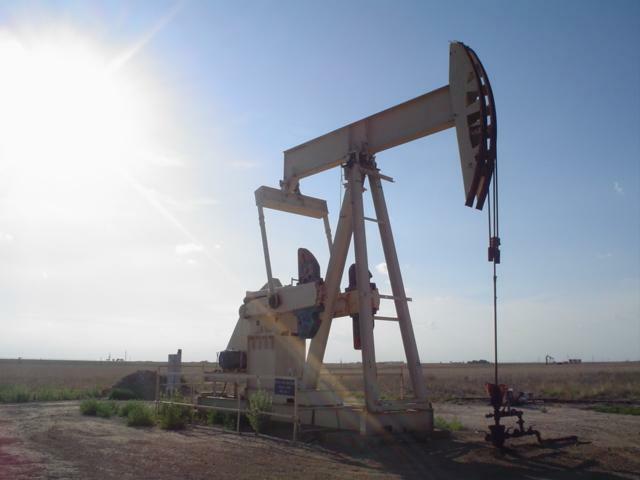 The current oil and gas boom, fueled by a technique called hydraulic fracturing, has opened massive shale gas and oil formations in states like Texas, Colorado, North Dakota, and Pennsylvania. But unlike past booms, this time drilling is bumping right up against communities. With oil and gas development now at their doorsteps, people are worried about the health impacts. But the industry has taken off so quickly that scientific research about those impacts - which is timely, costly, and complex - is playing catch up.